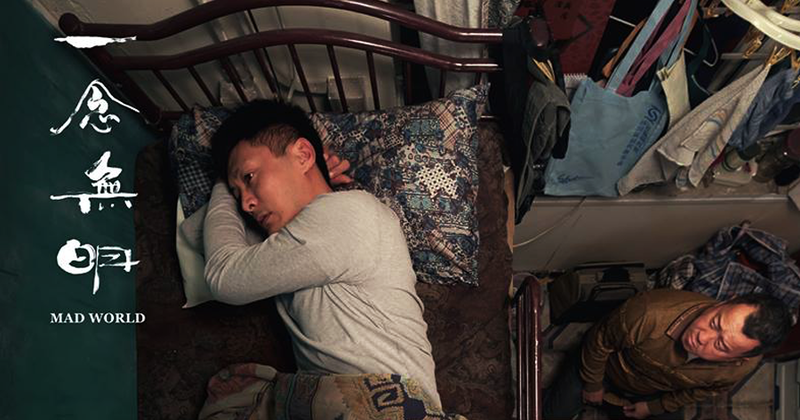 Wong Chun tackles a rather difficult theme in his debut, as he deals with bipolar disorder, in a low budget film that has already received a number of awards, both Chinese and international. The story revolves around Wong Sai-Tung, a man who suffers from bipolar disorder and has just been released from the mental hospital. Tung was committed there after an accident involving his mother, an abusive woman with mobility issues, whom everyone else in the family has abandoned, including his father. Furthermore, the frustration from his dealings with his mother had an impact to his relationship with his fiancée, Jenny, who had to deal with his violent outbursts and currently, with the debts he left her for the apartment they were living, when he was committed. Now, he finds himself having to live with his estranged father in a two-steps room in a rundown block of flats, and to face the racism of friends, colleagues and neighbors, as he tries to cope with a rather difficult illness. Wong Chun directs a genuine drama that takes a sensitive but realistic look at the bipolar disorder. In that fashion, he presents the consequences the illness has on both the patient and the people around him. The main character is obviously Wong, but both his father's and his fiancé's perspective is thoroughly depicted. At the same time, he presents the way society deals with these people, with their behaviour lingering somewhere between fear, dismay, and ignorance. If these elements remind you of something, then you are correct, they are the same that comprise the concept of racism. Chun may give some justification to these behaviors, as Sai-Tung is presented frequently being out of control, but in the end, his judgment on society is rather evident, particularly through the behaviour of the neighbors. However, through this tactic, and the permeating realism of the story, Chun and screenwriter Florence Chen manage to avoid the reefs of sentimentalism and melodrama and to present a very sincere film. Another point, presented mainly by Tung's mother and on a secondary level by his father, is the repercussions the parents' behaviour can have on their children, as Chun seems to consider them largely responsible for their son's state. In this dramatic setting, three are the scenes that stand out, due to their shocking impact. The first one occurs when his wife explains her life with him in a session group with Tung present, in a scene that highlights Charmaine Fong's performance. The second one takes place in a supermarket, where a completely disoriented Tung starts eating chocolates with bulimia. The last one involves the behaviour of the mother of a child who lives in the same building, and hangs out with Tung. 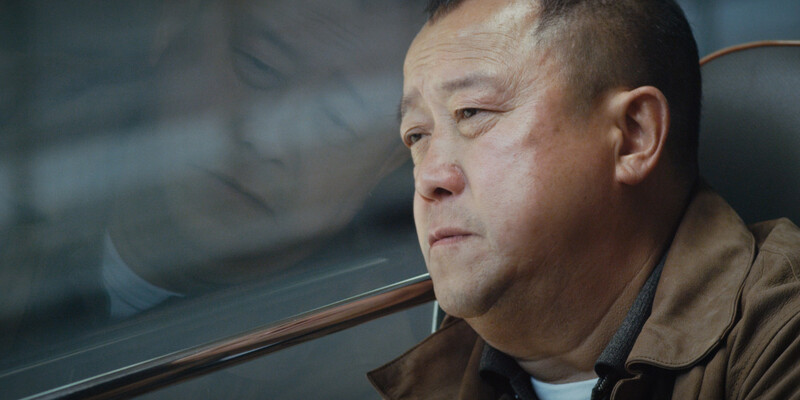 The sense of unfairness deriving from the way others treat Tung, finds its highlight in this particular scene. My only objection is that the story could have focused a little bit more in the current situation and struggles of Tung, which seem to be the most interesting part of the overall concept, instead of dwelling so much in the past. The final scene with his mother, though, justifies a large part of this tactic. The acting in the film is on a very high level. Shawn Yue has captured all aspects of a very difficult role, which has him play a broken man who tries to cope with his present but does not seem to get a break. The various confrontations with his father and mother highlight his performance. Eric Tsang is also very good as a father filled with regret, who loves his son but is not sure what to do with him and his erratic behaviour. Elaine Kam as Tung's mother is more than impressive, as she presents a bitter, handicapped woman who cannot find any outlet for her problems, apart from lashing out at her son. Chun seems to have let his actors carry the film, and this tactic has benefitted the production to the highest degree. Zhang Ying's cinematography gives a number of images of the film's main setting that justify its title. How can two men, one of which is mentally sick, can live in a two-step room in a building where nobody seems to want them? This is definitely a Mad World..Wong Chun's own editing retains a relatively slow pace that lets the spectator focus on the events on screen, and at the same time does a nice work of presenting the various flashbacks in easily understandable fashion. "Mad World" is a film with few faults, and a wonderful debut by a filmmaker that shows much promise.